Handling, processing, or storage of certain materials involves an element of risk of fire, chemical damage, or explosion. Many times these materials are monitored using pyroelectric, air temperature, or ultraviolet devices to detect a fire situation, in order to activate alarms and extinguishing systems. These devices do not, however, provide the earliest possible indication of a problem, because they cannot detect the initial heat prior to the fire. The IRt/c, however, is capable of detecting even the smallest temperature rise which must occur before a fire starts, and transmit the information in as little as 80 milliseconds to the thermocouple monitoring device, thus providing the maximum time to initiate extinguishing or cooling measures. 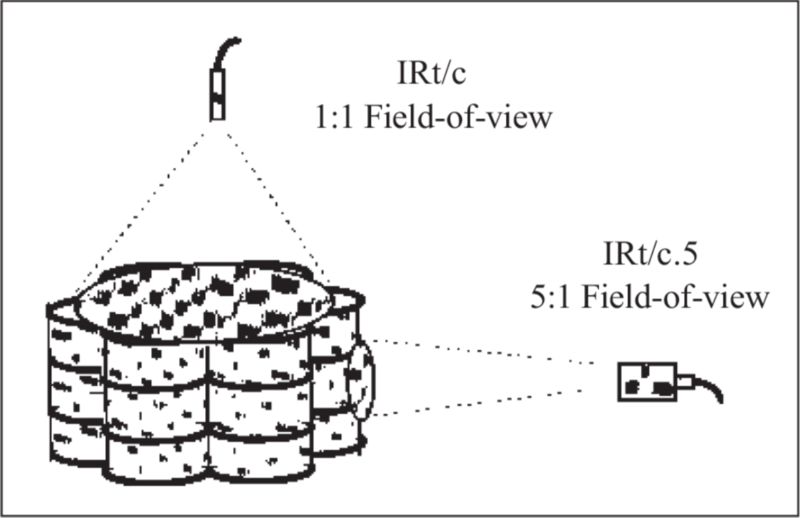 The wide fieldof-view standard IRt/c can average a wide area for broad coverage of heat build-up, or the narrower IRt/c.3x, .5, and .10 models can monitor specific areas from greater distances. Actual fire types and special conditions should be evaluated prior to applying IRt/c’s. As a “simple device” all IRt/c models are rated intrinsically safe (Tech Note #10), and as hermetically sealed devices meet or exceed all applicable NEMA ratings.